grid storage Archives - Solar Love! Home Tags Posts tagged with "grid storage"
On March 16, the first solar farm on tribal land was activated. The 250 megawatts Moapa Southern Paiute Solar Project, located on the 112 square mileMoapa River Indian Reservation about 30 miles north of Las Vegas contains more than 3.2 million solar panels covering 2.2 square miles, enough to power about 111,000 homes. Most of the electricity will be sold to utility companies that serve the Los Angeles area. Reiko Kerr, senior assistant general manager of First Solar said the clean renewable energy from the Moapa Southern Paiute Solar Project will help meet the goal of deriving 33% of Los Angeles energy from renewable resources by 2020 and 50% by 2025. Solar power in the American southwest is a burgeoning business but it has been almost too successful. California now has more renewable energy available during the day than it can use. Last year, 305,241 megawatt-hours of solar and wind electricity were lost because they could not be put to productive use. That amount of electricity could have powered about 45,000 California homes for a year. This was almost double the amount of clean power lost in 2015. The problem is worst in the spring when the sun shines longer each day but fewer people are running their air conditioners, according to data from the State of California. “We need to start finding ways to offset curtailment as we add more renewable sources, or we will be wasting renewable energy,” said Phil Pettingill, director of state regulatory affairs at the California Independent System Operator, the organization in charge of managing the local grid. A new Arizona renewable energy proposal from the state’s Residential Utility Consumer Office would take a fresh approach to managing the market for renewable energy and could have implications nationwide. Although the implementation of a regulatory schemes is usually complex, the idea is simple. Until now, those interested in supplying renewable energy to the grid had no financial incentive to consider when that electricity would be provided. It was pretty much assumed that any time the sun was shining or the wind was blowing would be a fine time to send some electrons to the grid. But the grid is more complicated than that. Demand for electricity varies considerably throughout the day. There is so-called base load power to meet the majority of that demand. After that, utilities have traditionally relied on a what many refer to as “peaker plants” — facilities that can be started and brought online quickly to meet the surge in demand that normally occurs every day between 5pm and 8 pm when people are getting home from work, turning up the air conditioner, cooking dinner, and watching television. Getting those peaker plants up and running from a cold start costs a lot of money and produces excessive amounts of greenhouse gasses. That’s the primary reason why utility companies charge more for electricity during periods of peak demand. It costs them more for the electricity and those costs get passed along to utility customers. The RUCO proposal would change all that by building in pricing signals that would encourage providers of renewable energy to make their electrons available during peak demand periods. They can do that by engineering their facilities to produce power when it is needed, perhaps by orienting their solar panels more to the west where they could capture more energy from the setting sun. Battery storage will probably be the most significant part of the proposal. Having a place to keep the electricity until it is needed would greatly reduce the need for peaker plants, which would lower costs for all utility customers. A third strategy is a known as the smart grid. Using digital technology, the grid operator could actually turn down air conditioners and freezers a few degrees during periods of high demand via apps that control the Internet of Things. Electric cars plugged into home chargers could be instructed to defer charging until later at night. Even small changes could substantially decrease the load on the grid. 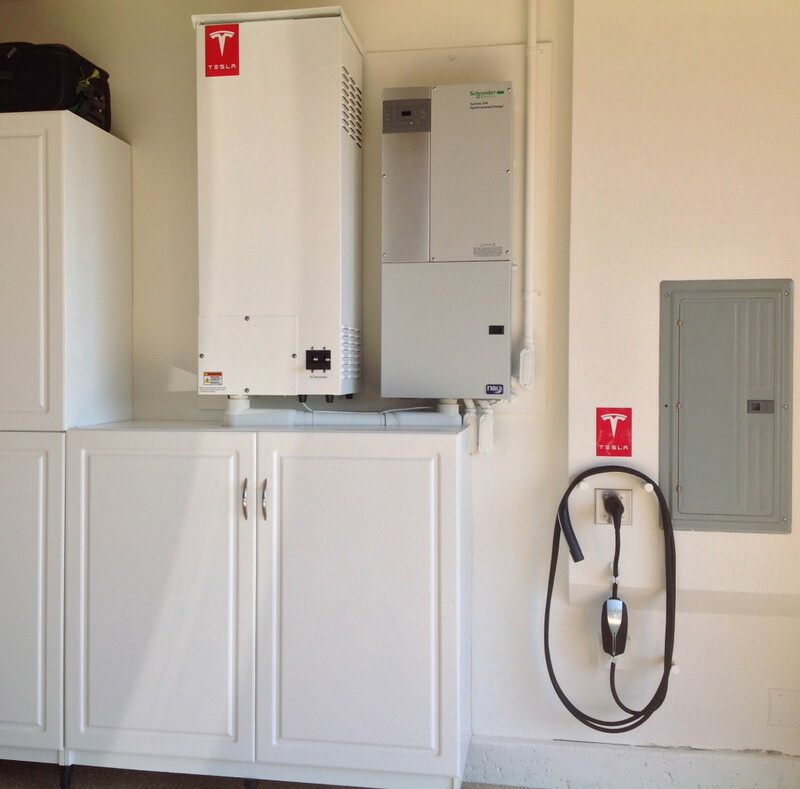 Tesla, which now has one foot firmly in the grid scale battery storage market, is in favor of the plan. “While details of the proposed Clean Peak Standard still need to be discussed, Tesla supports the concept which would enable a cleaner, more resilient, lower cost grid and promote a sustainable energy future,” a spokesperson for the company told Utility Dive. GE announced on August 20 that it will provide Coachella Energy Storage Partners (CESP) with a 30 MW battery storage system as part of CESP’s supply contract with the Imperial Irrigation District (IID)*. The installation will be located in California’s Imperial Valley, approximately 100 miles east of San Diego, and will be GE’s largest energy storage project to date. It will aid grid flexibility and increase reliability on the IID network by providing solar ramping, frequency regulation, power balancing and black start capability for an adjacent gas turbine. 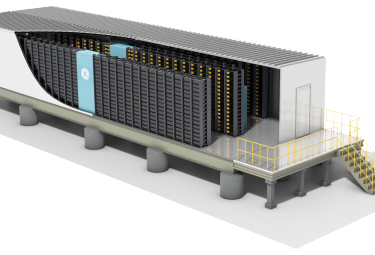 GE will provide CESP with an integrated energy storage solution, configured using GE’s Mark VI plant controls, GE Brilliance MW inverters, GE Prolec transformers, medium-voltage switchgear, and advanced lithium ion batteries housed in a GE purpose-built enclosure. The plant will be operated by ZGlobal, an engineering collaborator with CESP, for the first 18 months, after which control will transfer to the IID. Tesla is good at grabbing headlines, but its dominance of the stationary battery storage market is not a sure thing no matter how many Gigafactories it builds, not with battery giants like Samsung, LG Chem, and BYD in the game. Imergy is another player that has its eye on the prize, which is hundreds of billions in profits over the next several decades as the world transitions to distributed renewable energy. While everyone else is relying on lithium-ion battery technology, Imergy is pursuing a different course. The Imergy vanadium-flow batteries are different in several important ways. For one, a lithium-ion battery must be protected from getting too hot. If it does get too hot, it can burst into flames, as happened on board Boeing’s Dreamliner prototype airplanes a few years ago. Lithium-ion batteries need special shielding and a dedicated cooling system, both of which add weight and expense. They also have a limited number of times they can be discharged and recharged and do not tolerate being fully discharged or fully charged very well. The Imergy vanadium flow battery uses vanadium as a catalyst. While pure vanadium is expensive, Imergy gets theirs from fly ash left over from burning coal or from slag that results from making steel. Both are capable of yielding vanadium that is 98.5% pure, which is enough for its liquid battery process. Since the vanadium is not consumed in the energy storage process, it can be recycled when a flow battery reaches the end of its useful life. The other big advantage of the Imergy vanadium flow battery is that it is scalable. That means it can be customized to hold precisely the amount of energy required simply by resizing the liquid electrolyte tanks. Such customization is not possible with lithium-ion batteries. Is installed 1.5 feet above the ground and needs an open space of 1 ft on all sides. Does not make any noise, does not need any maintenance, and has no drippings. Is about 3 ft tall and 2.5 ft wide and looks good. Comes as in either a 10 kWh or 15 kWh version. Reportedly, the residential battery is connected to the internet and can be controlled from a smart phone. It can charge from the grid, from solar panels or a local generator. Once charged, it can meet the electrical needs of the home or send power back into the grid. Tesla is building an enormous facility in the desert outside Reno, Nevada in partnership with Panasonic to produce lithium ion batteries for Tesla cars and presumably for residential and grid electric storage use as well. The GigaFactory, as it is called, is due to open in 2017, but early reports suggest it may begin limited operation before the end of 2016. Founder Elon Musk is relying on mass production and economies of scale to reduce the cost of lithium ion batteries, rather than new breakthroughs in battery technology. But other companies have different ideas. Aquion Energy has a line of non-polluting storage batteries that use salt water as their electrolyte. Their Aqueous Hybrid Ion (AHI) batteries use no hazardous materials, are 100% recyclable and are said to cost less than traditional lithium ion batteries. The batteries were recently awarded Cradle To Cradle Bronze status for their sustainable composition and manufacturing techniques. The AHI batteries require no heating or cooling, which makes installation easier and further reduces costs. Battery storage for electricity, whether on a residential or a grid scale basis, is set to substantially disrupt the traditional electricity generation and distribution system. Some observers, like the Rocky Mountain Institute, suggest that battery storage will lead to a 50% decrease in the demand for electricity from traditional sources within ten years. Tesla intends to play a major role in that transformative process. Aquion Energy has announced that its Aquion AHI battery is the first to be awarded Cradle To Cradle Bronze status by the Cradle to Cradle Certified (C2CC) organization. C2CC was created in 1995 by world renowned architect William McDonough and chemist Dr. Michael Braungart, two leading advocates for sustainable products and business practices. The award was announced on Business Wire News. What’s so special about the Aquion Energy Aqueous Hybrid Ion battery? Unlike virtually every other storage battery in the world, it is built from components that are 100% safe for the environment both in the manufacturing process and when the product reaches the end of its useful service life. It uses a salt water electrolyte, carbon composite anode, manganese oxide cathode, and synthetic cotton separator. The Aquion battery has several advantages over traditional home and grid storage systems, which typically use lithium ion batteries. It can be fully discharged without damage, can tolerate far more charge/discharge cycles, has a wide range of operating temperatures and can operate effectively when partially discharged. In addition, it costs less than an equivalent lithium ion battery and cannot catch fire or explode the way a lithium ion battery can. It requires no external heating or cooling mechanism, which helps keep cost down. It is made from environmentally benign components and has no corrosive acids that give off noxious fumes. Taken together, all these attributes make it ideal for residential storage, microgrid installations or large scale grid storage. 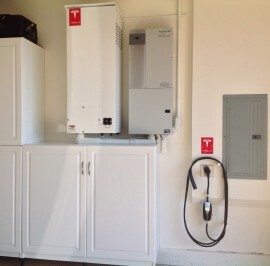 Residential and small business battery storage is a very hot topic in the solar power world these days, with Tesla scheduled to announce next week that it is jumping into the battery storage business in a big way. But environmentally conscious consumers might want to weigh the advantages of an Aquion Energy storage battery versus a traditional lithium ion solution. If Aquion really can deliver a superior product at a lower price, it should find an almost inexhaustible market for its products.